Photo by Olivier Douliery and Olivier Douliery | The State Press Anti-Trump organizations and Black Lives Matter protesters walk through downtown Cleveland, Ohio, ahead of the Republican National Convention on Sunday, July 17, 2016. Many media sources and news networks are politically biased, which has created distrust with the public. The distrust has even made some viewers feel as if they're being lied to by the media. I've had many friends tell me they refrain from watching the news because it's sad or depressing, or because they're sick of seeing negative content all the time. Maybe it's the journalist in me, but I think avoiding a conflict because it scares or inconveniences you stunts personal growth. You cannot learn and adapt with such a sheltered mindset. This especially bothers me because it shields people away from all of the good things that media can do, like bringing light to sensitive issues and social movements most people wouldn't otherwise know about. It's easy to see the media's affect on movements like #Black LivesMatter, #LoveWins and #YesAllWomen. The effects are less obvious when it comes to smaller movements until you realize that they might never have gained traction without media representation. Take the highly-publicized, controversial issue of transgendered people being forced to use the bathroom of the gender they may not associate with, despite how they physically appear. The population of people who identify as transgender in the U.S. is estimated to be between 0.3 and 0.6 percent. Due to the small community, some would argue that the issue is not as important as the media has made it out to be. This is a perfect example, though, of how the media can bring light to a positive movement (equal rights for transgendered people), regardless of who it affects. Rachel Reinke, a faculty associate in the Women and Gender Studies department, believes that some movements are assisted by media representation, but can be damaged when the media reduces the issues to a basic level so that their audience can understand them. “In terms of social movements, I think that the media does play a large role in how these movements get represented," Reinke said. "One of the things that the media likes to do is portray whatever they’re reporting on in the easiest way possible, and sometimes in that attempt to communicate easily, a lot of contextual information is lost." Reinke said that this is where the damage can be done regarding media and social movements. "Even if it doesn’t affect that many people, it affects at least one person intrinsically," Reinke said. As a journalist, I recognize the opportunity here to bring light to the plights of people globally, and I believe most others do too. Our obligation is not only to share truth but to be mediums of knowledge. Media power should not be seen as a negative as long as we haven't reduced ourselves to fluff pieces about dog pageants or Best Buy sales. As long as long as the media is addressing the serious issues of the world, the power is positive. Reach the columnist at sphaas@asu.edu or follow @_SavannahHaas on Twitter. 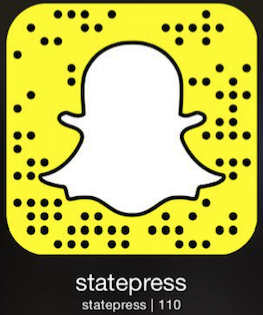 Like The State Press on Facebook and follow @statepress on Twitter.The State Press or its editors.